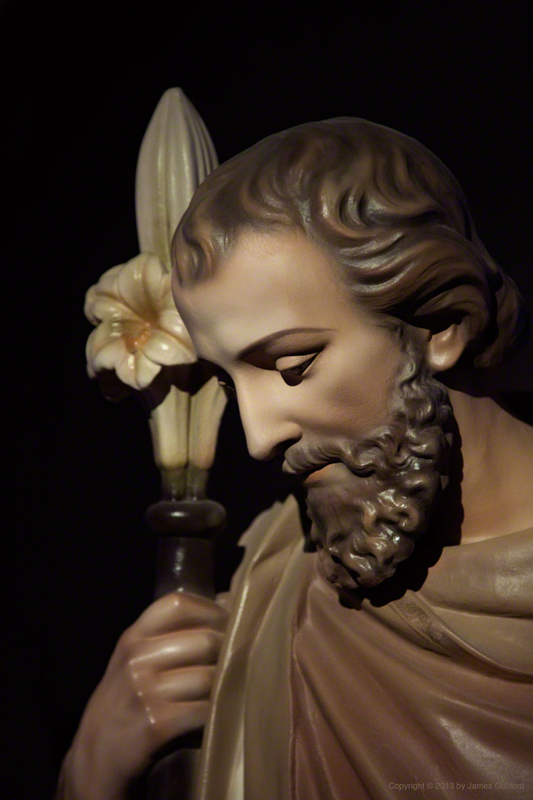 While I am not Catholic, I do appreciate the illustrative and evocative art created for the Church and particularly the statuary. 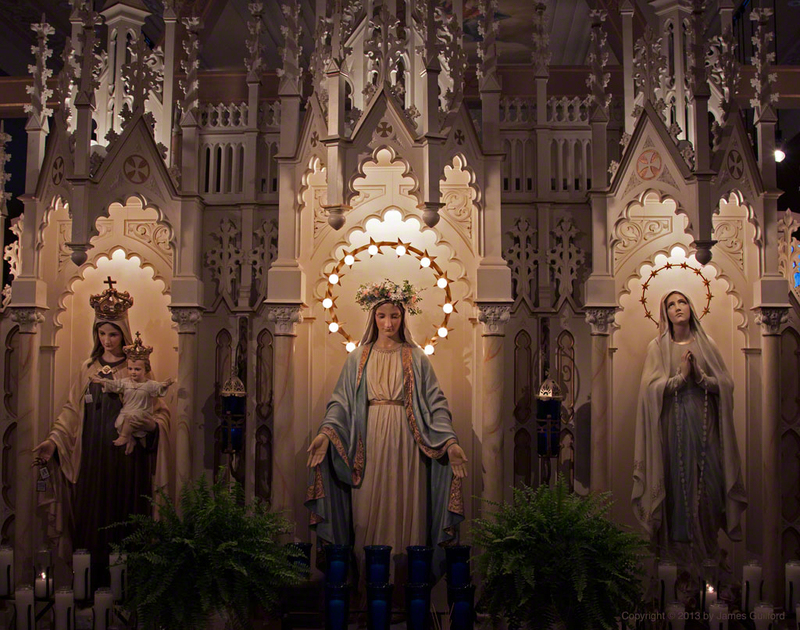 Many years ago now, when I worked for a newspaper, I shot a photo feature headlined “Portraits of Mary” showing statuary within a number of area Catholic churches. In the Cleveland, Ohio suburb of Lakewood a restoration artist shares that appreciation. 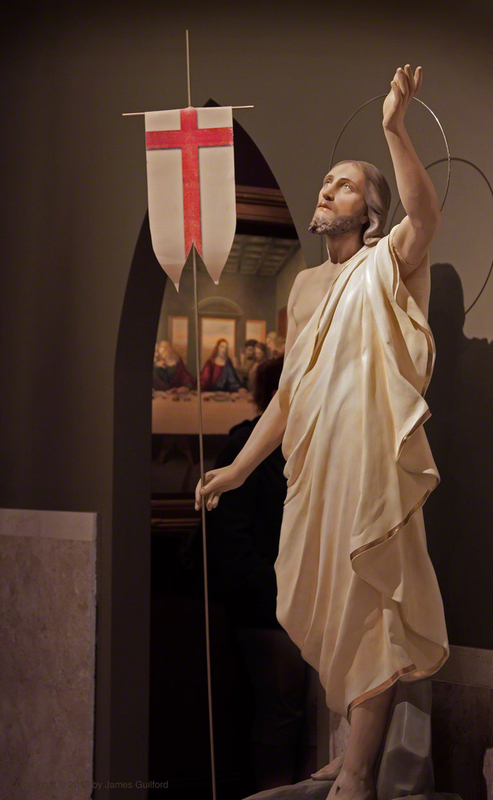 The artist saw a need to not only restore those religious artifacts but to save them. Over the years a good number of churches have closed, their furnishings and decoration either destroyed or scattered to the winds. Artist Lou McClung made it his mission to save and restore those displaced works and created a museum within which to preserve and display them. 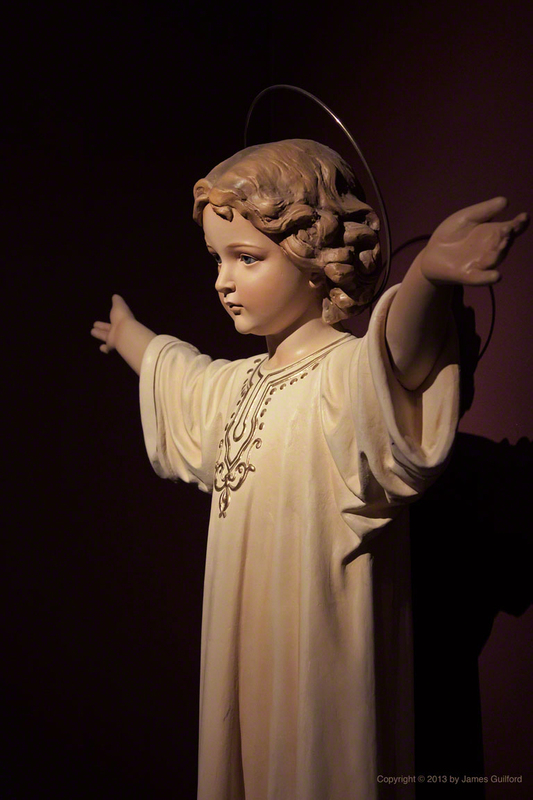 We visited the Museum of Divine Statues for the first time this past Sunday. 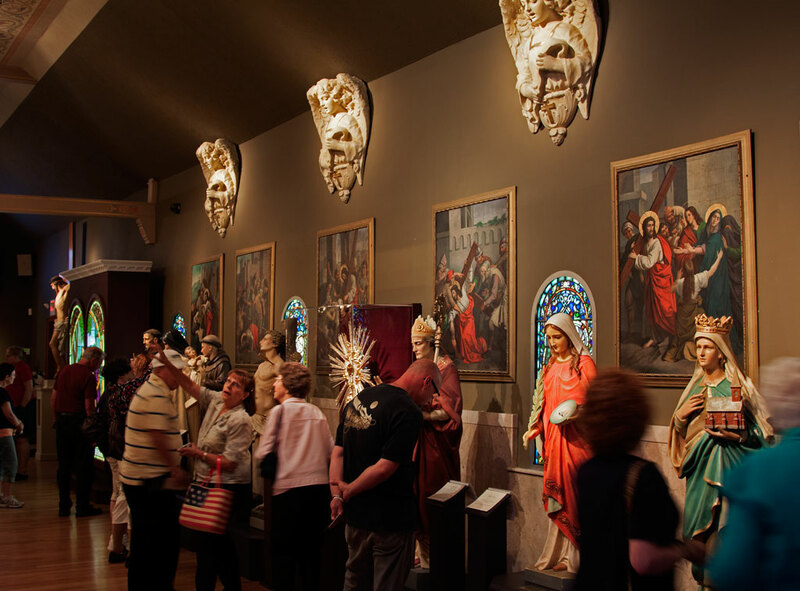 Appropriately, the museum, which opened April 10, 2011, is housed within the former home of St. Hedwig’s Church. The interior of the church has been repaired and re-purposed from that of a place of worship to a fine art / historical gallery. Enthusiastic guides and McClung himself are present to answer questions and tell the stories of the many statues and smaller artifacts. Here are a few of my photos from our recent visit. I won’t attempt to fully-describe the pieces shown and that’s not my purpose here. Nor will I try and tell the story of the museum and its creator; that is done well on the museum’s Web site. I hope you can see what I see when I gaze at the statues and what I attempted to capture with my camera and that you can appreciate the great skill and love the restorer has bestowed upon the pieces.